With the crisp air of autumn comes the chance to experience a quintessential fall weekend in Maine. For starters, you’ll be amazed at the glorious colors on display across the state. From quiet coastal villages to lakeside golf courses to scenic mountain passes, Maine offers a variety of settings for nature’s brilliant show. Another fall favorite is heading to an orchard for apple picking and a glass of cider fresh from the press. Or perhaps do a little fly fishing at one of our famous rivers. And be sure to leave some time for antiquing. A one-of-a-kind treasure is the perfect souvenir from your trip to Maine. 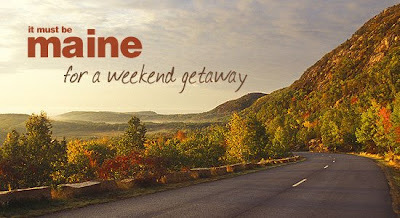 For more details and information about Maine's Fall events, go to www.visitmaine.com.